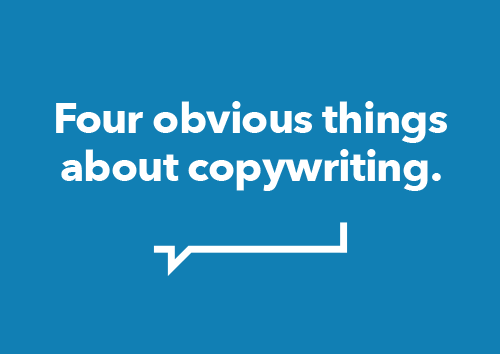 Freelance copywriters love long copy. But we would, wouldn’t we? In terms of work, we like projects we can sink our teeth into. Excuses to get creative, to go deeper, and to be clever. Long copy lets a copywriter show off. We also like to read them, because we’re the type of people that read. We’re interested in advertising, and how a writer can hold attention beyond a strapline. But what about customers and prospects, the people that really matter? Have time-short consumers really got time to read all that copy? In this Swiped post, I’ve chosen a long copy example that’s uniquely aware of the debate. It doesn’t expect anything from its audience. But it persuades prospects effectively, whether they go long or short. Okay. I’ll admit it. I’m a hack. When I started Swiped, this series of posts that pulls together great copywriting examples, I set myself one rule. Don’t get me wrong. I love Apple, and I love their copy. I even liked that recent long copy ad more than most. But using Apple in a copywriting blog post is just so obvious. Everyone has done it. Now, just a few posts in, I’m breaking my rule and joining them. But bear with me. It’s a look at Apple’s copy, and website copywriting – but I’m going a bit deeper into a single, specific technique. It’s one that I’ve stolen already. One you’ve seen fifteen times already on this page. There should be a crime against weak online content. That’s the argument that I put forward in my recent guest blog post for People Per Hour – Why Weak Online Content Should Be Criminal. After all, if you’re not taking the time to grab attention, inform potential customers, and persuade them to part with their money, you may as well don a balaclava and invest in a knife. It’s your job to court customers, not grab the cash and run. As a freelance copywriter, I firmly believe in the importance of quality online content. The web puts businesses at their most open and accessible – if you don’t do a good job online, rest assured the entire world will find out about it. But let’s not confuse striving for perfection with achieving it. Only one of those is possible.